After last night's indulgence in delicious Lebanese food (which was eaten really late), it was good not to have to wake too early this morning. 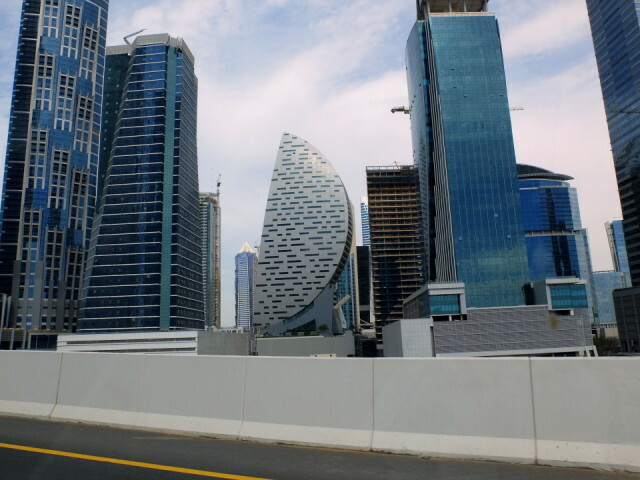 We went for the service and on the way back, via a very windy route, we drove right through Business Bay. G took this shot of Iris Bay from a fast moving car. Nice, quiet afternoon. I decided I wanted to dedicate some time to my room, but in the process, the living room got a good dusting and hoovering too. I can't wait for my normal cleaner to get back from his holiday. There's nothing like knocking your place into shape if guests are coming, except the ones invited for tomorrow night have rescheduled.